The 2018 NFL season is entering the final stretch, but there are still many playoff races yet to be decided. Let’s take a look at the five best NFL games to bet on this weekend, and make a prediction for each game. The Packers made headlines this week after firing longtime head coach Mike McCarthy. Green Bay brings a 4-7-1 record into this game, and they have been very disappointing this season. Atlanta has been even worse this season, posting a 4-8 record through their first 12 games. This game is a battle of two of the biggest disappointments in the NFL, but there should be plenty of offense in this game. Packers quarterback Aaron Rodgers and Falcons quarterback Matt Ryan are two of the best in the business, and they will try to outduel each other. Expect the weather to be cold and snowy and that is Packers weather. Bet the Green Bay Packers -4.5 over the Atlanta Falcons. The top team in the AFC will host a playoff hopeful in an important game in Kansas City. 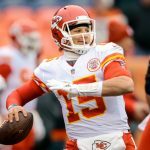 The 10-2 Chiefs will take on a Baltimore Ravens team that has won three straight games to get back into the playoff picture. Baltimore has looked like a different team since rookie Lamar Jackson has taken over the quarterback job. With Jackson in charge, the Ravens lead the league in rushing and time of possession. If the Ravens are able to keep the explosive Chiefs offense on the sideline for much of this game, they might be able to pull off their fourth straight win. Kansas City released running back Kareem Hunt before week 13, but still managed to score 40 points. As long as the Chiefs have Patrick Mahomes at quarterback, they will still score a ton of points. Bet the Chiefs -6.5 over the Baltimore Ravens. Perhaps the biggest game of the weekend will take place in Dallas when the Cowboys host the Philadelphia Eagles. The winner of this game will take over 1st place in the NFC East, and this is one of the best rivalries in football. The Cowboys have won four straight games to put themselves in a nice position, and they have been riding the legs of Ezekiel Elliott. The Cowboys running back has racked up 1,150 yards and six touchdowns this season. Dallas also features one of the top defenses in the NFL, giving up just 18.6 points per game. Philadelphia is averaging just 21.5 points per game this season, but they are starting to heat up at the right time. Newcomer Golden Tate had a big night in week 13, finishing with 7 catches for 85 yards and a touchdown in the win. The Eagles still have plenty of work to do to return to the playoffs this season, but they have the talent to get the job done. Look for Philadelphia to make a statement against the Cowboys in Dallas. Bet the Eagles +3.5 over the Cowboys in a huge NFC East clash. The Arizona Cardinals are fresh off of their third win of the season in a game that cost Mike McCarthy a job. The Cardinals have been a mess on offense all season long, averaging just 14.6 points per game. Against the Packers it was rookie running back Chase Edmunds who was the offensive star, scoring two touchdowns in his first career game at Lambeau Field. Arizona will take on another NFC North team, the Detroit Lions, in this game, and they could find the same success. 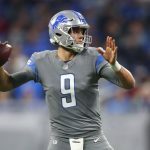 Lions quarterback Matthew Stafford has thrown for over 3,000 yards again this season, but Detroit has been riddled with injuries this season. Playing at home should give the Cardinals an extra boost, and I think they get their second straight victory in this game. Bet the Arizona Cardinals +2.5 to beat the Detroit Lions on Sunday afternoon. The Seattle Seahawks will host the Minnesota Vikings with a lot at stake in the NFC Playoff race. Seattle continues to be one of the hardest places to win on the road in the NFL, but the Vikings feature one of the most talented rosters in the league. 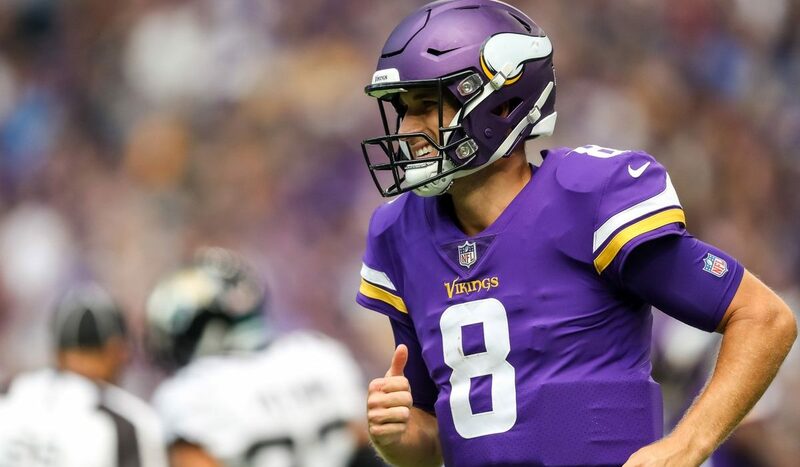 Quarterback Kirk Cousins has thrown for over 3,400 yards in his first season with the Vikings, and will need to have a big game against the Seahawks. Minnesota has struggled running the ball this season, but should find success through the air. For Seattle, quarterback Russell Wilson has been sharp again this season, but running back Chris Carson has started to emerge as a star. Carson has ran for 704 yards and four touchdowns this season, but he faces a hungry Vikings defense in this game. The Seahawks are a small favorite in this game, but the Vikings will come away with the win. Bet the Minnesota Vikings +3.5 over the Seahawks on Monday night.